Network engineers have lots of ways to officially measure how quickly they respond to changes or fix problems. There’s also lots of informal ones: How soon can I go back to bed? Can I leave the office in time for dinner with the family? How long will it take to prove to the Dev team that no, it’s not the network? 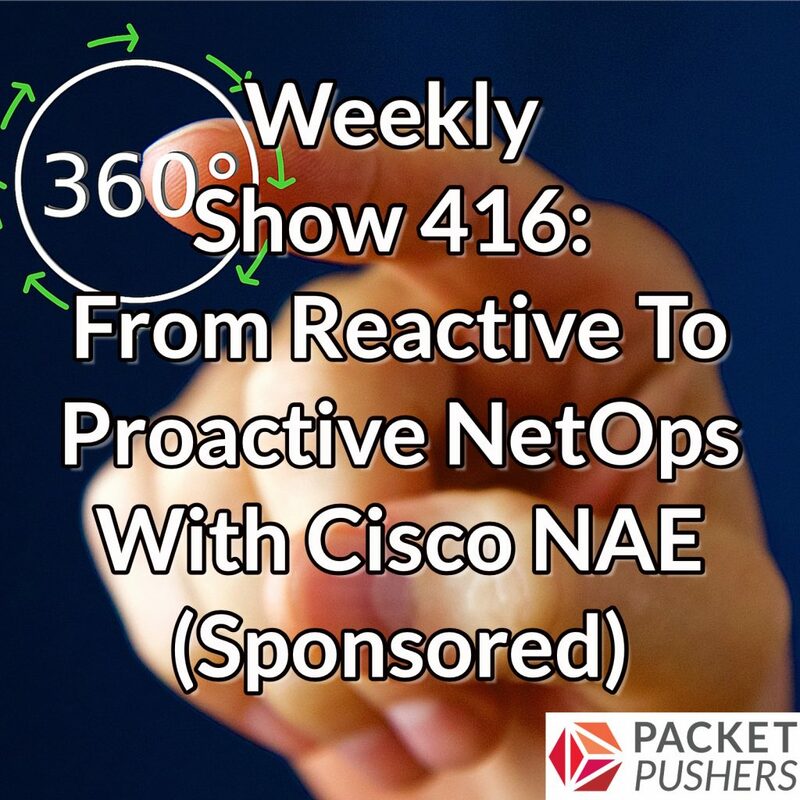 On today’s Weekly Show we talk with our sponsor Cisco about its Network Assurance Engine (NAE), a software product designed to answer those important questions. NAE uses a mathematical concept called formal verification to build a real-time model of the network. The model is derived from the continuous collection of each device’s state and configuration. This provides an accurate and dynamic representation of the network, as opposed to a static diagram or an engineer’s best recollection. NAE uses this model to assess the impact of changes, prevent outages, get deep visibility into network state, and move network operations from a reactive to a proactive stance. Our guests are Navneet Yadav, Sr. Director Product Management, Head of Product – Cisco Network Assurance Engine; and Vishal Soni, Sr. Engineer, Cisco IT DC Network. We discuss how NAE works, the concepts of formal verification and how they’re applied to networking, how NAE improves Day 2 (and beyond) operations, and customer use cases. We also get a real-world perspective from Vishal, who uses NAE in production in Cisco’s own internal IT organization. He’ll offer his perspective on the product, and share concrete details about NAE’s impact on operations including change management, troubleshooting, and incident handling.